Where can I find the recommendation slot placeholders? 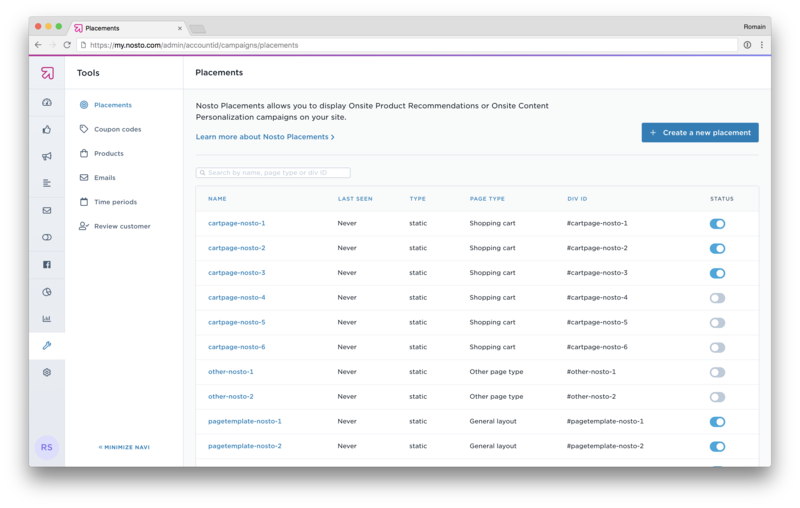 Nosto has just released Nosto Placements, an entirely new way to display Nosto recommendation slots onsite. You can find the list of Placements within the Nosto Admin Panel under Tools and Placements. Learn more about Nosto Placements here.